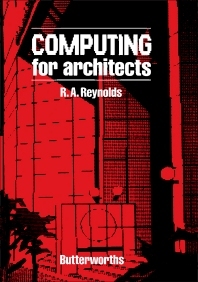 Computing for Architects provides an introduction to computers and their use in architectural offices. It is the result of 17 years' experience of using computers in firms in private practice and is intended to be more of a practical guide than a textbook. It attempts to show where computers can help, how they can be applied, and how to avoid the worst pitfalls. The book begins by describing how the attitudes of architects towards computers have changed over the years. This is followed by separate chapters on the benefits and drawbacks of using computers; different types of computers and computer programs; the principles and operations of databases; and their application in architectural design. Subsequent chapters discuss computer-aided drafting, computer visualization, job management systems, and design-aid programs. The importance of environmental analysis is emphasized, covering lighting analysis, thermal analysis, sunlight analysis, airconditioning analysis, and acoustical analysis. The final chapters deal with office management systems and the future of computing.